The New York Yankees had a chance to do the UNTHINKABLE and STOP the Boston Red Sox from celebrating their AL East CROWN at Yankee Stadium, but they FAILED and in the process GAVE up their lead in the AL Wild Card race. This weekend is LAST time that the Yankees can BEAT UP on BAD teams, when they take on the Baltimore Orioles before they hit the ROAD to close out the season. Game 1: JA Happ has been AMAZING since he ended up on the Yankees and he was GREAT again on Tuesday night, giving up just ONE run and but he got a NO decision. ANOTHER player that has been GREAT since coming to the Yankees is Neil Walker and he SAVED the day on Tuesday Night. The Yankees had a 3-1 lead in the NINTH inning and that is when the defense was DONE with the game. They had to turn THREE double plays in the inning and WON the game 3-2. Aaron Judge RETURNED to the lineup on Tuesday Night and had GREAT at-bats despite NOT getting a hit, the Yankees NEED him to MASH and he needs to get going this weekend. Game 2: David Price has been TERRIBLE against the Yankees and that continued on Wednesday night. INCASE the Yankees and the Red Sox play in the ALDS, the Red Sox have to wonder IF they can pitch David Price in Game THREE of the series. For the Yankees to get to the ALDS they NEED to WIN the Wild Card game and on Wednesday night the Yankees MIGHT have found their Wild Card game starter as their ACE Luis Severino had his BEST game since July 1 and got the WIN thanks to AL Rookie of the Year, Miguel Andujar. Like Happ and Walker, Luke Voit has been GREAT since coming to the Yankees and he hit TWO Home Runs on Wednesday night to give the Yankees a 10-1 WIN and the Red Sox had their LAST chance to CLINCH at Yankee Stadium. Game 3: Giancarlo Stanton hit a BIG Grand Slam on Thursday Night, but the Red Sox came back to WIN 11-6 and CLINCH at Yankee Stadium but we are NOT going to talk about it. The Yankees are FINALLY getting HEALTHY at the RIGHT time with Aaron Judge and Aroldis Chapman coming back this week. Judge got a BIG Two run error on Wednesday, Chapman gave up a BACK BREAKING Home Run last night so he needs to come BACK to form this weekend. The Red Sox are NOW the ONE seed in the American League Playoffs so IF the Yankees are able to WIN the Wild Card game, they will play the Sox and this series is going to HELP their CONFIDENCE. These two teams play AGAIN for the last THREE games of the Regular Season, so the Yankees can get MORE confidence against the 2018 World Series Champions, the Boston Red Sox. The Yankees are basically a LOCK to make the Wild Card game, but WHERE they are going to play and WHO they are going to play is still in question. The Tampa Bay DEVIL Rays are SIX games behind the Oakland Athletics, who are TWO games behind the Yankees. 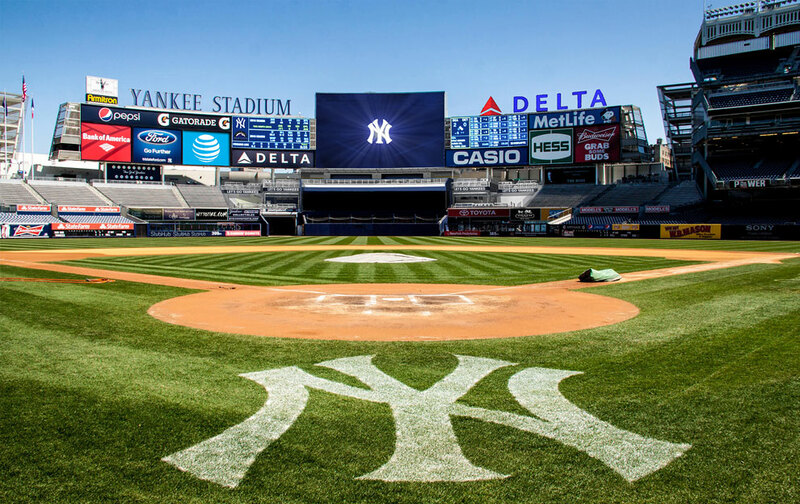 It is EXTREMELY important for the Yankees to have the Wild Card game in Yankee Stadium so they NEED to play GREAT to CLOSE out the Regular Season. In order to LOCK up the FIRST Wild Card, the Yankees will have to BEAT up on the Baltimore Orioles this weekend, something that they have STRUGGLED at this season. There is a ZERO percent chance the Yankees WIN the Wild Card game IF it is in Oakland so they NEED to beat up on the O’s this weekend.